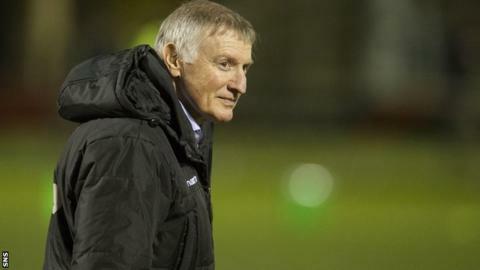 Alan Solomons does not believe his Edinburgh side's season will have been a failure if they fall short in their bid to reach the European Cup. A 29-22 home defeat by Cardiff Blues dented Edinburgh's chances of securing the top-six finish needed to reach the new top-flight European competition. Edinburgh are seventh in the Pro12, 10 points behind sixth-placed Scarlets. "I don't think it can be regarded as a failure (if they do not finish in the top six)," said head coach Solomons. "You've got to see it in context of where Edinburgh Rugby were. We've had a much-improved season, I think the side has progressed well. "We won three games in the Heineken Cup, which is more than we've won for some time, apart from the year they made it to the semi-final. "Yes, we wanted top six because we want to play in Europe, they've changed those competition rules this year, which is just one of those unfortunate things. "But going forward the Pro12 is going to be a very strong competition, because everyone is going to be playing for Europe. It's going to be a very different level of competition next year, and we'll be ready for it." Solomons, a former Springboks assistant coach, arrived at Edinburgh just before the start of the season and inherited a team that finished 10th last term, losing 15 of their 22 league games, and 11th in the previous campaign. "We have to see the season in context, I only arrived two weeks prior to the start of the competitive season," he added. "I took no part in the recruitment of players or retention of players, or pre-season conditioning. "We said at the beginning we wanted to earn the respect of, particularly our opponents, and of the rugby public. And I think we've done that. "The feedback I have had from players and coaches in our opposition teams is that they have seen the progress we've made."